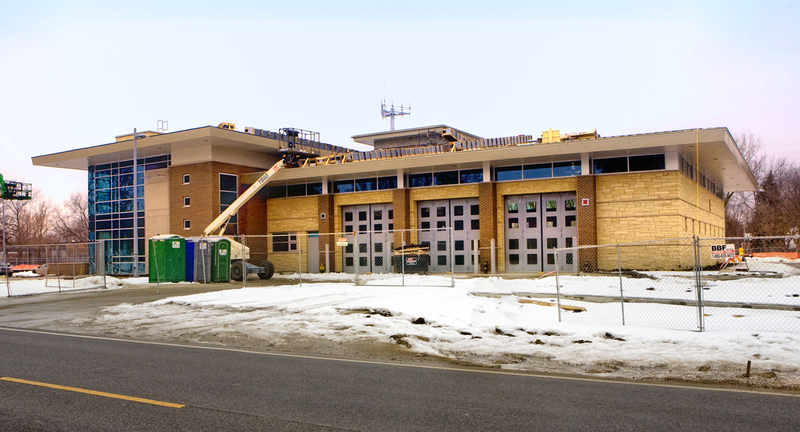 Here is an updated photo showing the progress of Wheeling (Division 1) Fire Station 24 being built on Milwaukee Avenue. The last construction photo was posted here. Here is a recent photo of Station 14 for Mount Prospect (Division 1) which is being built next to the current station #14 on Kensington Road. The previous update was posted here. Elmhurst Station 2 opened in September and was built on the property in front of the old Station #2. Although we do not have a photo showing both stations together, here is a shot of the new station. 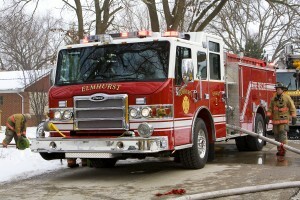 Elmhurst is in Division 12 and operates out of two stations. 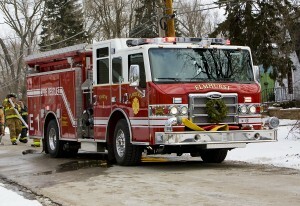 In other Elmhurst news, the fire department recently placed two new engines into service. These new rigs bring several changes to this department, the first of which is a move away from a fleet that was entirely EONE. 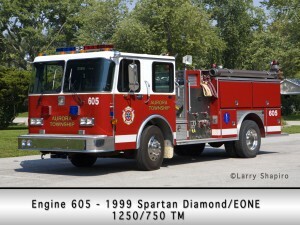 Engines 1 and 2 are now 2009 1500 GPM Pierce Impel pumpers. The second significant change for Elmhurst is moving from their ‘traditional’ color scheme of white over yellow (a school bus golden yellow color) to white over red! 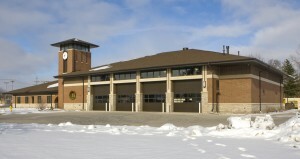 After a long dry spell, the Aurora Township Fire Department (with 2 stations) has been added to the site under Division 13. Bill Friedrich provided images of both stations and the apparatus photos are by Larry Shapiro. After a very long period of inactivity, my thanks go out to Karl Klotz and Dennis McGuire, Jr. for consistently sending updated material to post. 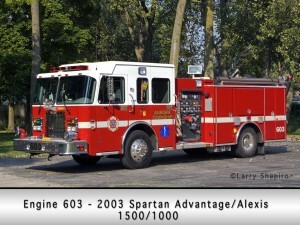 Dennis submitted images of 5-6-3, 9-1-3, 6-3-1 and Engine 47. 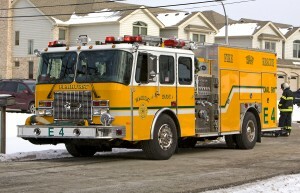 Karl provided updated station photos for Engines 15, 26, 47, 68, 72, 76, 81, 88, 89, 91 and 129. 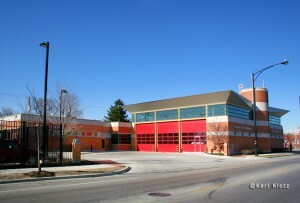 Engine 88’s photo represents their new house while the others represent more recent images which mainly depict the changes in bay doors that have occurred.